The much awaited 14th Annual Athletic Meet 2017 was held at LNCPE, Kariyavattom amidst great mirth, verve and camaraderie. Shri. RishiRaj Singh IPS, Excise Commissioner Of Kerala was the Chief Guest. Other guests of honour were our Chairman, Sri. K.S.Premachandra Kurup, Vice Chairman, Dr. Unnikrishnan Nayar, Kendra Committee members, Sri. S.K.Nair, Sri. Sivasankara Pillai, Principal, BVB, Kodunganoor, Sri. Sunil Chacko. 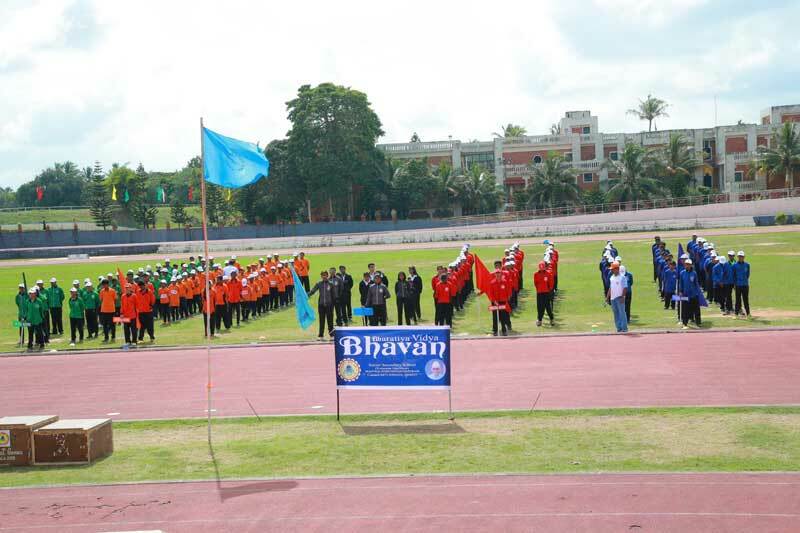 Colourful and vibrant dances preceeded the March Past and track and field events. Valedictory function was graced by Ranji Trophy player Sri. Jagadeesh. The day was filled with exciting victories and near misses for all the houses.